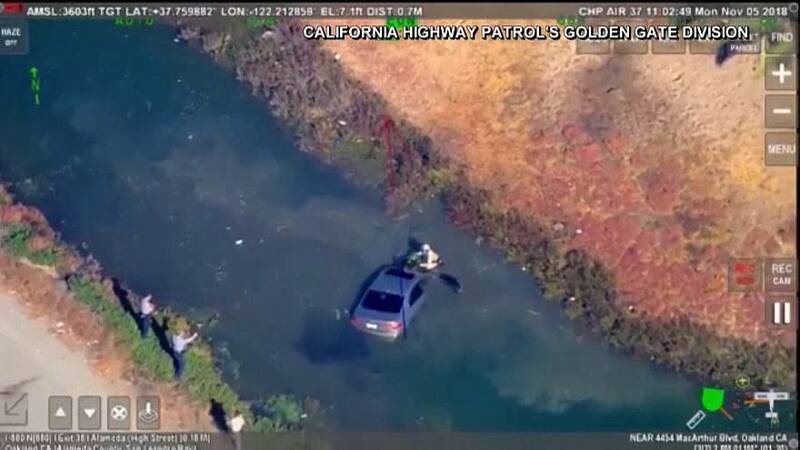 One man is in custody after leading authorities in California on a high-speed chase, which ended up with his car crashing into water. Aerial footage from the California Highway Patrol Golden Gate division captures the moment the grey BMW drove over an embankment. The car is seen landing in the water, effectively ending the chase.